Keep up with the Mammoth Track Club and enjoy our quarterly newsletter. Please let us know if you have not received your 2013 Mammoth Track Club long sleeve shirt! Well, summer is coming to a close and that simply means we can look forward to cooler morning workouts while we get ready for fall racing season. The next couple of months are going to be action packed for the Mammoth Track Club! We have many athletes racing around the globe. You have seen these three MTC members preparing at Tuesday morning practices and they are ready! Rick Wood is racing the BMW Berlin Marathon on Sept 29th. He is gearing up for a new personal best at the distance after smashing his ½ marathon personal best by over 3 minutes! Tom and Rosanne Higley are traveling to race the Rock n Roll Montreal half-marathon and marathon in Montreal on Sept 22nd . Best wishes to Rick, Tom and Rosanne who know the best way to tour a new city is by running and racing! To anyone else racing, I apologize if I don’t know your racing schedule, so please keep us informed. Make sure to follow our extraordinary elite team as they are well-prepared for fast racing this fall. Gabe Proctor will be making his professional half-marathon debut at the Rock n Roll San Jose half-marathon on October 6th. Gabe will be toeing the line with the US Half-Marathon record holder and former MTC member, Ryan Hall. All of these athletes have been training hard and many are racing for the first time as Mammoth Track Club members. Their twitter handles are included so you can follow them around the globe. Following any of our elite members gives you entry into a drawing for sponsor products at the end of the calendar year! You can follow them, but odds are you won’t catch them! 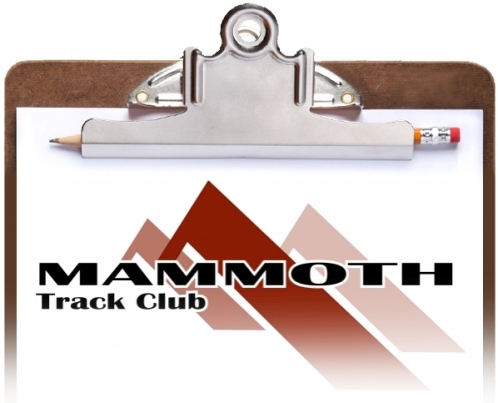 Mammoth Mountain has displayed tremendous support for Mammoth Track Club. In many ways, they have helped build the Club and lay a foundation for greatness to thrive. For one, the completion of Whitmore Track this past fall was assisted by the Mountain. The facility could not have been accomplished without The Mountain. They assisted in housing construction workers during the building phase. Currently The Mountain is providing two condos for the MTC elite athletes. Training at such a high level year round, our professional team members need a place to call home—a place to rest and rejuvenate without the burden of living out of bags or moving from unit to unit. With assured housing, the elites can focus their finances on treatment, travel to races and nutrition. The condos are located in the same complex, providing the team with continual unity. Along with being a fundamental donor and partner to the Club, Mammoth Mountain is undoubtedly a vital component to the liveliness of our town. The skiing and snowboarding here is unmatched. Tourists of all levels flock to Mammoth in order to experience the beauty and awe that only our slopes can offer. During the summer months, The Mountain maintains the excitement and allure through mountain biking, hiking, summer concert series and various festivals. The Mountain knows how to draw the crowds year-round, day and night! Mammoth Track Club thanks Mammoth Mountain for its ability to provide quality and distinction for athletes and the community! At just over 10 miles in length, the Chalk Bluff Loop is one of my favorite trails to run in Mammoth. And when I say favorite, I mean I have a love/hate relationship with it. You begin on Owens River Road where it intersects at Antelope Spring. Go left up Antelope by the horse stables and you will start a climb—a gradual climb that peaks out around 4 miles. This is the hate part. What makes it great is the strength you gain. The climb forces you to keep the beginning of the run controlled while you focus on staying steady and smooth through the uphill. During the second half of the loop the trail narrows and winds down the backside of the bluffs. Your turnover feels light and quick, you start to roll, and you can breathe a little deeper. This is the best part of the run because you know what it took to reach this point; the slight ache in your legs reminds you of the work you put in during the first few miles but as you build on the next few miles they seem easier and easier. Around the 9 mile mark you hit Owens River Road and the last mile or so levels out as you stare down one final hill to reach the end. You are left feeling a bit drained but completely satisfied. The Club welcomes Lauren Jimison to Mammoth Track Club’s elite team. She joins us to pursue her professional career, and it is no coincidence she chose this group. It is here in Mammoth where she first fell in love with distance running when she attended high altitude summer running camps in high school. Lauren graduated from Azusa Pacific University in May 2012, with a B.A. in Christian Ministry. While competing for Azusa, she set a school record in the 10k with a time of 33:58. 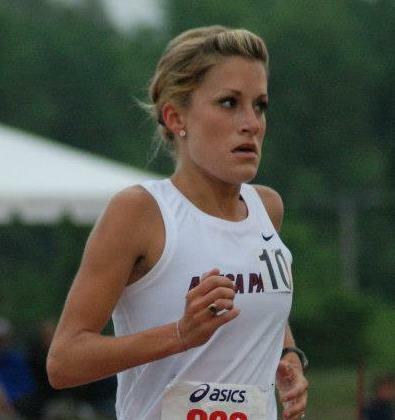 She was the 2010 and 2012 Indoor 5k NAIA National Champion. In addition, Lauren was the 2011 Outdoor 5k NAIA National Champion as well as the 2012 Outdoor 5k and 10k NAIA National Champion. She holds a personal record of 16:34 in the 5k. In 2011 she was the individual runner-up at NAIA Cross Country Nationals. After graduating, Lauren jumped into the road racing scene. She has shown prowess on the roads already, placing 3rd at the Sac Town 10 Miler and 5th at the Carlsbad Half in 1:15:42. In this year’s 25k US Championships, Lauren raced to a 9th place finish in 1:30:46. Next up for Lauren will be a half marathon in Sacramento this October. While training in Mammoth, Lauren will be setting her sights on racing in the 2016 Olympic Marathon Trials. She is passionate about competing and aspires to praise God through running. For her, running is about worshipping God with her body, building relationships and working hard. Ask Lauren why she loves running, and she will say, “Running is full of life, full of ups and downs, joys, tears, rest, recovery, and grace”. Follow Lauren’s journey at laurenloverun.wordpress.com or find her working at Black Velvet! Another MTC Scholarship Success Story! Hard work and dedication are nothing new to Claribel Solorio. These two characteristics are no doubt part of the reason Claribel was awarded a Mammoth Track Club Scholarship in 2010. A soon to be senior at Whittier College, she is studying Kinesiology in hopes of entering Medical School. Claribel first planned on applying to a graduate physical therapy program upon graduation. However, after realizing she had nearly all requirements completed for medical school, Claribel changed her goals in hopes to one day be a doctor. With medical school on her radar, Claribel plans to pursue a focus in Pediatrics. She enjoys spending time with kids. This summer she volunteered at First Start with local physical therapist Sharon Moffett-Almond. At First Start Claribel interacted and assisted with special needs children. Along with volunteering, Claribel is immersed in a research project that explores the two sides of runners - biomechanics and psychological states. She received a competitive grant to conduct the study and cited this honor as a highlight of her academic career. Her study includes six subjects, one female and one male athlete from each of three groups: interscholastic, collegiate and elite. She is curious about the development of running form and mental skills throughout an athlete’s career. Claribel believes that coaches do not emphasize the mental aspect of running in high school and college, yet she is convinced that mentality is extremely important to competing. Her study will give a taste of who possesses strength in which area. Claribel will continue competing for Whittier’s cross country and track programs this fall. She confesses that longer distances appeal to her. After competing in her first half-marathon this summer in Mammoth, Claribel instantly fell in love with the roads. She gushes as she speaks of earning first place honors in her age category at the Mammoth Half, running 1:48:53. She is proud—as she should be. It will be no surprise when we see Claribel move up in distance, for the marathon does not scare her; it entices her. And based on her work ethic, MTC knows she will thrive! Elevate your fitness...Stay on track!